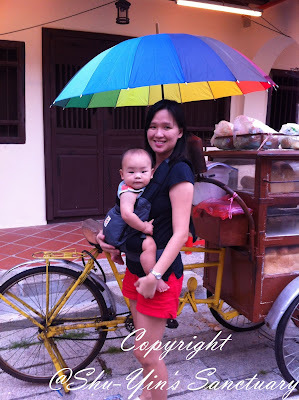 I'd reviewed the Pikkolo baby carrier, and also my favourite Boba 3G baby carrier. Both of these brands are not that famous compared to Ergobaby. 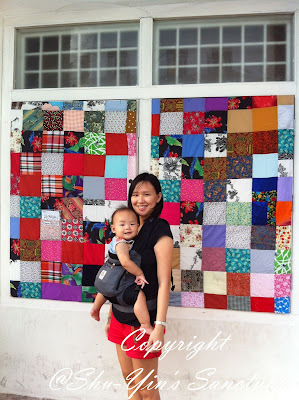 Come on, for babywearing mums, who has not heard of THE Ergobaby brand? It's like the most famous brand for ergonomic soft-structured carriers. SO WHO AND WHY CHOOSE ERGO? 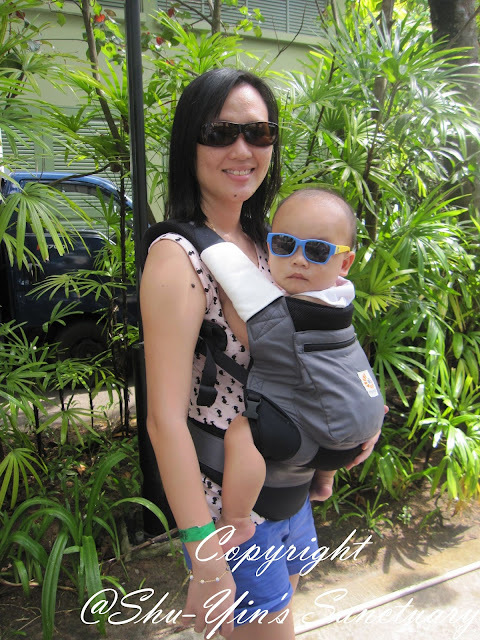 First designed by Karin Frost from Hawaii, the original Ergobaby Carrier was developed for her son, applying proper ergonomics to a pragmatic need: keep your baby close. The Ergobaby Carrier was born out of a personal desire for mobility and comfort allowing you to tackle life while maintaining a close & natural bond with your baby and toddle.The Ergobaby is already well known for its comfortable ergonomic design for both parents and baby. 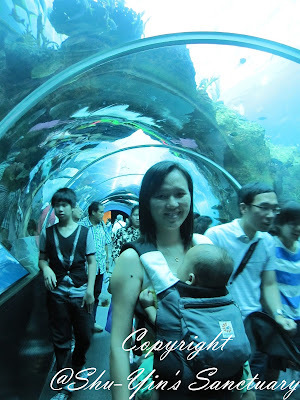 I guess this is the main key for many concerned parents; to have a comfortable yet ergonomic baby carrier. 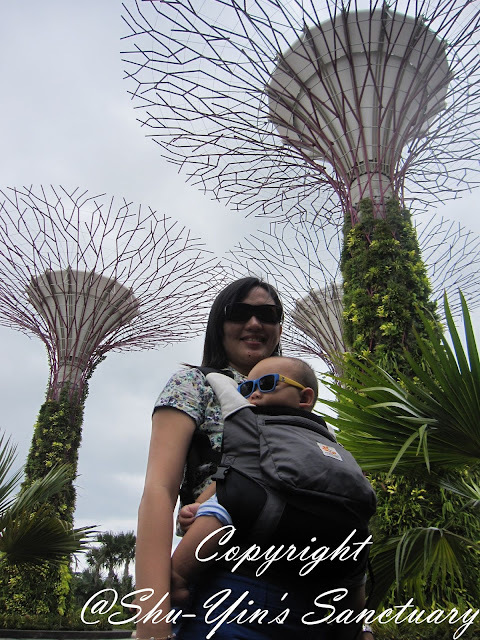 So naturally I was delighted when I was given a chance by Bloom & Grow Asia to review the Ergobaby Performance Baby Carrier. The Ergobaby Performance range is one of the most breathable choice, that makes both baby and parent stay cooler. This is extremely important feature for our hot and tropical climate in Malaysia. So I was really eager to try this out and see if it is as good as what the reviews rave about! It comes in a reasonably small white box with a small slit see-through window. I can see a grey carrier inside it. The box comes with a string for easy carry. Upon opening the box, I pull out the carrier and I was very surprised by how lightweight it actually is when compared to my Boba 3G. It is almost the same size as my 2 other baby carriers, and that is why I was surprised that is it that lightweight. Ergobaby Performance Carrier weighs only 1.21 lbs (550 grams) and is 1/3 lighter than ergobaby® Original Carrier. 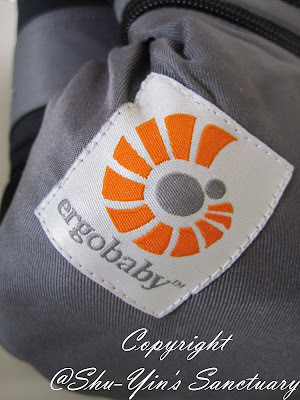 On the Ergobaby Performance, you can see the NEW Ergobaby logo, which is the nautilus logo in orange colour. And with it comes the instruction manual as well, with advice on how to wear and care for the Ergo Performance carrier. I'd also noticed that this Ergobaby Performance comes with not only one, but two generous sized zippered storage pockets, with one actually meant for the sleeping hood. But the other pocket could easily fit in your mobile phone, keys and cards, and even your wallet. Yes, it is that big. And talking about sleeping hood, Ergobaby Performance's sleeping hood is made of integrated, ripstop water-repellant fabric with elastic edging and snap-to-strap attach. It supports baby’s head while sleeping and protects from sun and wind. Not many people know this but the hood is SPF50. And what I liked about it most is that it can even be adjusted in length with 5 snap levels to match your baby's growth, which I don't see in my Pikkolo and even the Boba 3G. There is also a safety feature which is new to me. 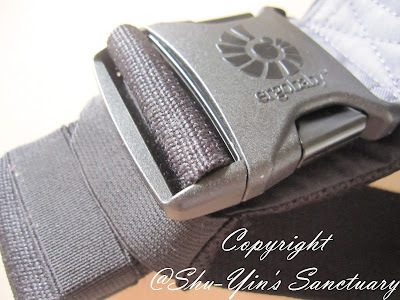 The padded waist belt features reinforced buckles with elastic safety loops to ensure maximum buckle security. So I just thread the belt through the elastic safety loops before buckling up. It's easy and I feel much safer too knowing there is an added security buckle feature. 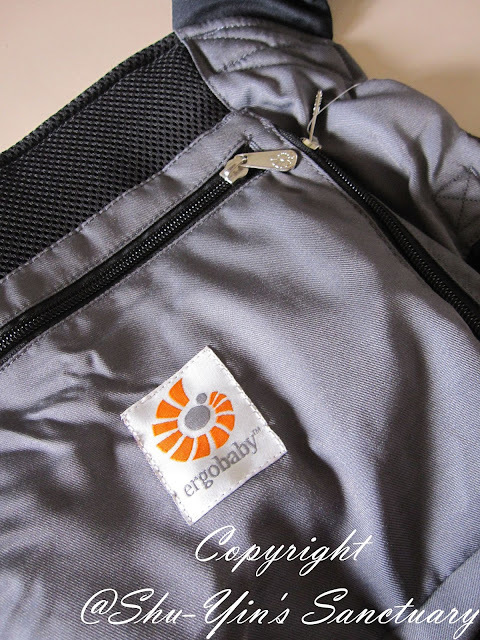 The Ergobaby Performance Carrier is said to be a lighter version of the original carrier. It features moisture-wicking mesh for ultimate breathability so both Khye and me stay cooler. This is very suitable for our warm and tropical Malaysia weather all year round, especially when we go outdoors. I usually will choose this carrier when I'm going outdoors like to the recent Georgetown Heritage Day. It was a good choice to babywear him as it was crowded and it would be difficult to push a stroller amongst the crowded streets of Georgetown. And I think Khye was pretty comfortable in it. Both of us were not stuffy and hot with this carrier. And although it is the lighter version, it does not compromise on comfort. Its tapered shoulder straps and padded waist strap ensure parents stay comfortable even on long treks. It was put to the ULTIMATE TEST as I brought it along with me for our Singapore trip last week where I babywore Khye for 8-12 hours every day! 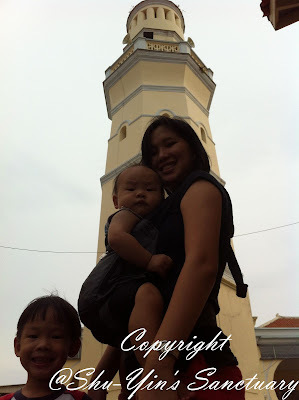 And I'm living proof to declare that I have NO backaches or shoulder pain even by babywearing Khye for so long hours! It's really amazing and I was pleasantly surprised! I also chose this carrier to bring with me to Singapore because it is so light and is easy to transport and carry. I babywear Khye in the front carry facing-in position because he is still a baby and I like that I can look at him. But Ergobaby Performance carrier has 3 carry positions - front, back and hip carry positions! What I didn't like is that if your baby is an infant/newborn, you need to purchase the newborn insert (which doesn't come with it), which I find troublesome. 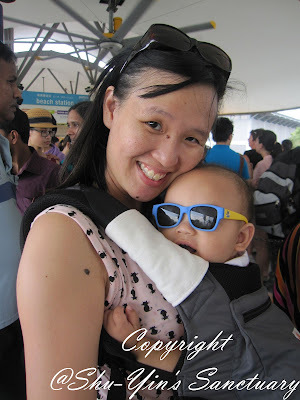 Anyway, we went to the Singapore Zoo and when Shern was tired and sitting in the stroller, I babywore Khye and although we were in the outdoors for so many hours, Khye was not heated up in the Ergo. It really lived up to its claim of ultimate breathability. He was comfortable, and I was comfortable. 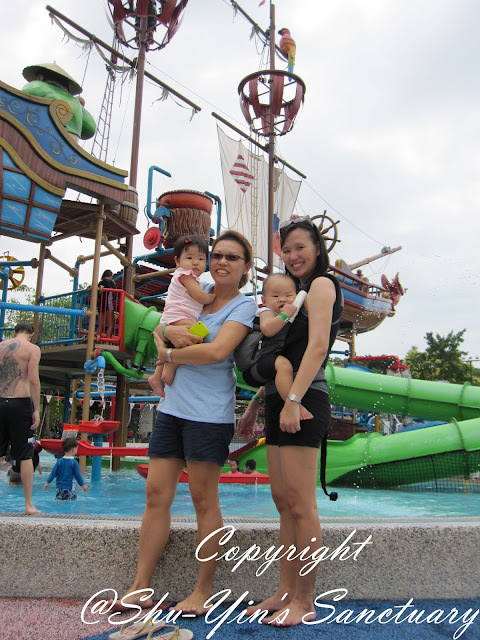 And even in the waterpark, I was babywearing Khye after some waterplay, and when he was getting fussy, I was thankful for a breathable baby carrier to lull him to sleep. 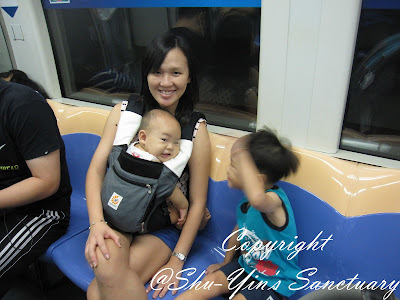 And It was really great that by babywearing Khye, I was able to free up both my hands to handle stuff when we were boarding the crowded MRT. The MRT automatic doors open and close very fast, and babywearing makes it so much easier. 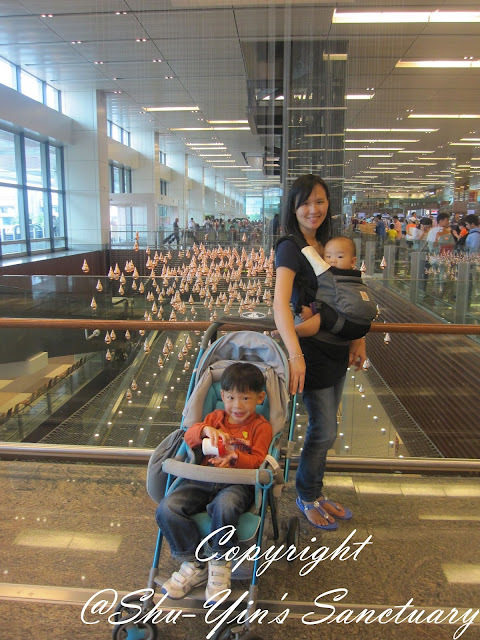 And also in the airports, it was so much easier to just push a stroller and to babywear so that we don't have to bring 2 strollers, as I'm sure we cannot manage 2 strollers and 2 kids, and diapers bags and all! 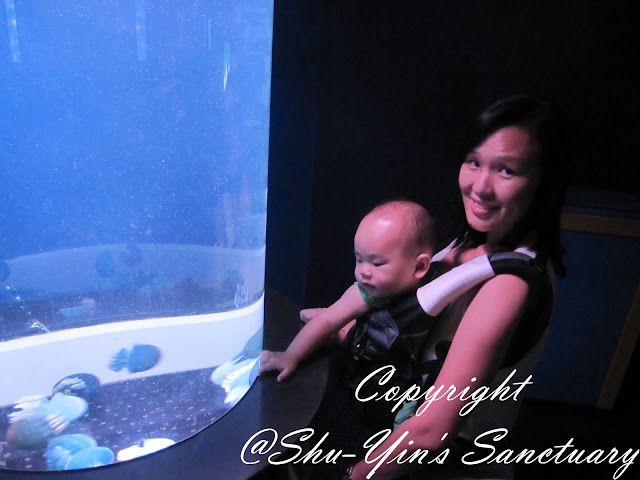 Khye also gets to enjoy and touch things even in this carrier, because he is big enough to take out his hands and to reach out to whatever he wants, so I'm not stopping him from having fun. But this also has another benefit of a different angle. When I walk into a place full of breakable things, it is easier to control Khye's hands when I babywear him just in case he swipe things over and break them, compared to when he is in the stroller. So another good point here too! And Khye also fell asleep every day while hugging me like a Koala bear. Is so comfortable for him to be near mummy while sleeping. I also use the hood when Khye is asleep sometimes and needed more support on his head, and I also breastfed him discreetly on-the-go under the hood! The hood was also great for some rain protection when it started to drizzle at one of the days! And you see, the whole trip I'm the photographer. So the large zippered pockets really helped because I can fit even my iPhone and my point-and-shoot Canon Ixus 110s into it, which makes it very easy to retrieve it whenever needed! They are close to me all the time which is very convenient! And who says babywearing babies cannot be cool? 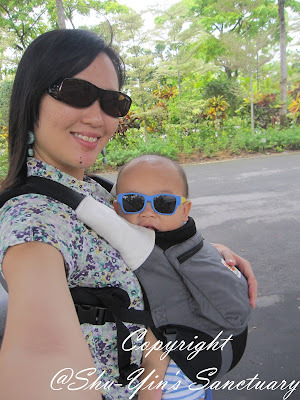 Look at my cool dude Khye with his sunnies while in the Ergo. So many strangers stopped to smile and pat him! We walk for hours at touristy places, and malls. We went out of our hotel in the morning, and we only returned to the hotel when the sun sets. 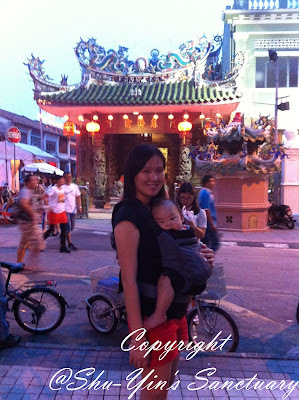 And I must really say the Ergobaby Performance carrier and the stroller were our life savers. I must say without them, our Singapore trip wouldn't be such a glorious trip! 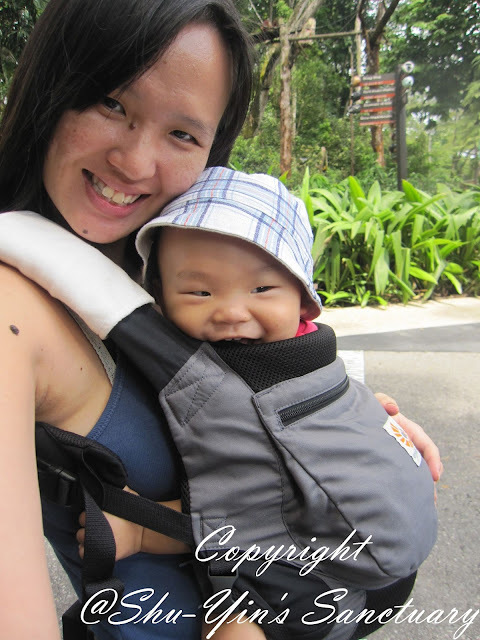 Ergobaby Performance Baby Carrier is definitely my go-to baby carrier whenever I'm heading to the outdoors with baby Khye! 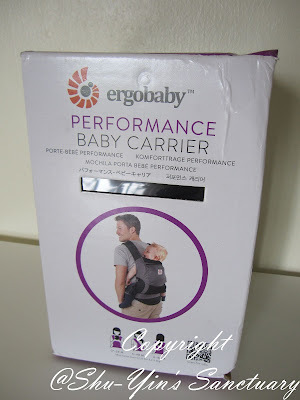 So I must say this Ergo Performance carrier totally lived up to its award-winning brand, and I would certainly recommend it to those active parents who just love the outdoors or simply looking for a light and more breathable choice! 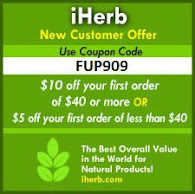 - Ergobaby; Ergobaby Performance, and Ergobaby 360. 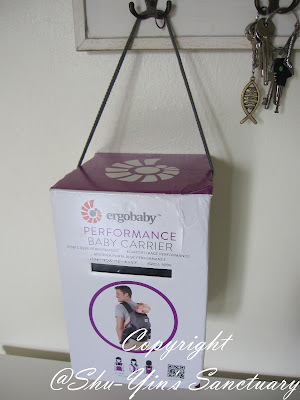 * Disclosure: I received an Ergobaby Performance Baby Carrier for review purpose, but no monetary incentive was received. All text and opinions are of my own and represents my honest opinion of the product(s). Babywearing is brilliant! It's been practised for ages and I am glad I babywear too. So many benefits, don't you agree? Yes, my Ergo was fantastic and even myself was shocked that I had NO shoulder pain or back pain after babywearing my tua pui Khye for 8-10 hrs!!!! Hi Winnie, I just got the ergo performance and I love it!!! One question though, how do I fold it and put it inside the bag? Thanks. What bag do you mean? Do you mean to say how to fold the hood and keep inside the zipped pocket? Or how to fold the entire baby carrier and keep inside a bag? I dont really understand your question. Ergobaby carriers tend to be larger in size and your 7 weeks old infant may seem to slip right into it if she is quite small sized. 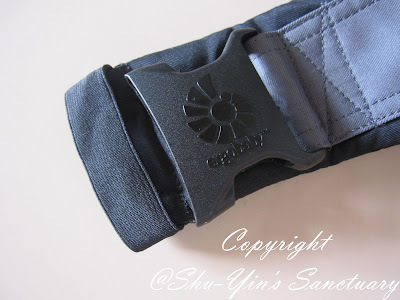 Actually for Ergobaby, you need to buy an additional insert for infant use from 0-3 mths old. It is rather wide and thus toddlers up to 3 yo can still fit into ergos. My baby is big sized and i fit him in an ergo when he was about 8mo (because only then I received an ergo) so he had no problem. 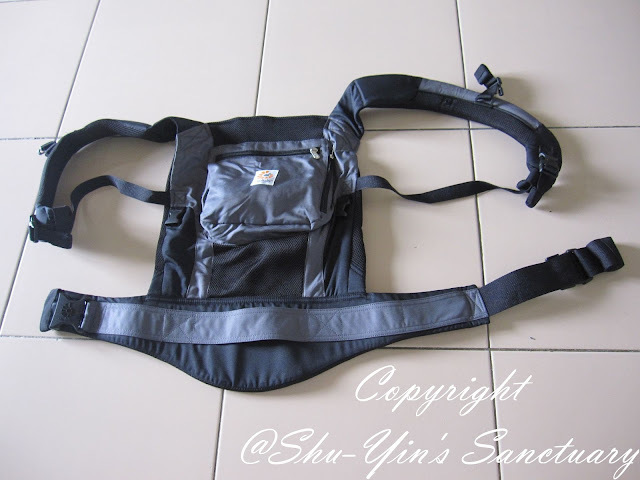 As for boba, it is certainly a much slimmer carrier compared to ergo performance. And you dont need an additional insert for infant. It can be fitted from newborn. Your son at this size would fit much better in a boba. However pls do note that boba is more thicker compared to ergo performance (as it is a more lighter n breathability ergo range). So if you go outdoors in our hot n humid climate, it may be more hot for your baby in a boba compared to ergo performance. But one thing good about ergo is that now that my baby is bigger (he is 1 1/2yo) and he fits much better in an ergo as ergo is much wider and thus can fit a bigger sized baby easily. So I am loving my ergo now even more now that my boy is bigger. I carried him to Hkg recently when he was 1 1/yo and even after 10 hrs of walking, no back pain. I love these 2 carriers. I use my boba when i go to aircond places, n my ergo performance when i go outdoors. Each have their own pros n cons. Let me know if u hav any more ques. Glad to help if i can. Thanks Shu-Yin :) I guess I'll be getting the boba 4G for now, and consider getting the ergo later when my son is bigger. Enjoy reading your reviews!